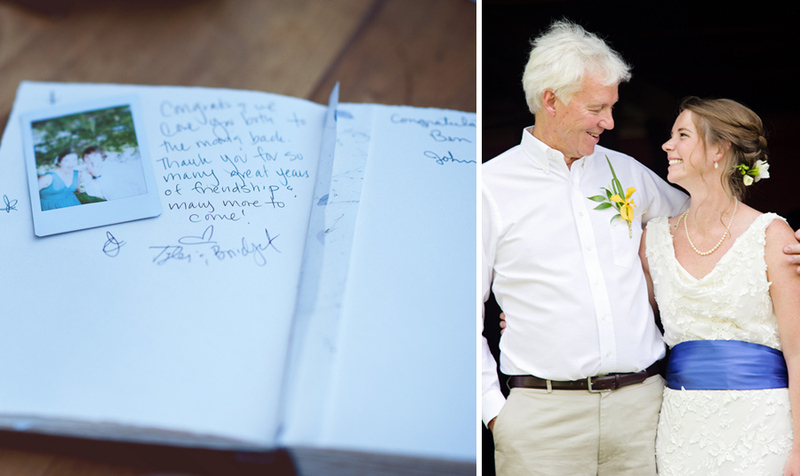 Oh goodness, are we ever loving this wedding from Fran Ze Photography! It is refreshing to look upon, and really puts us in a good mood. 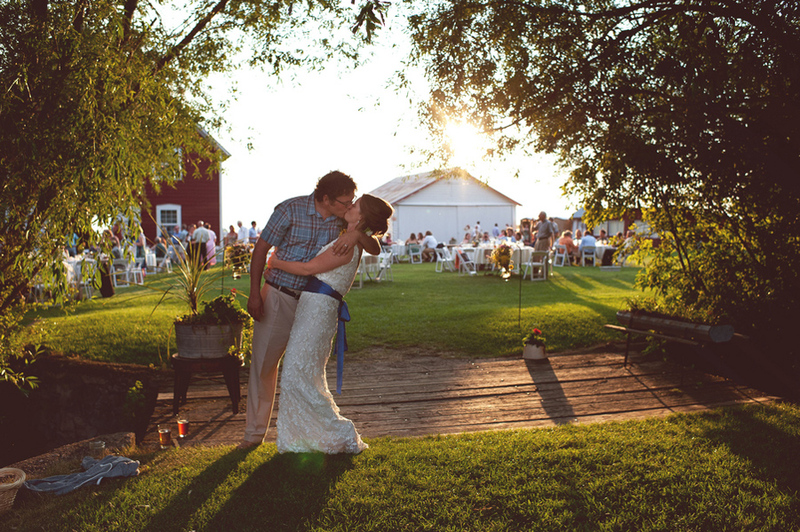 Maybe it's the gorgeous blue sky & use of blue throughout the wedding, maybe it's this over for the moon for each other couple, maybe it's just simply so sweet, and a joy to look upon. 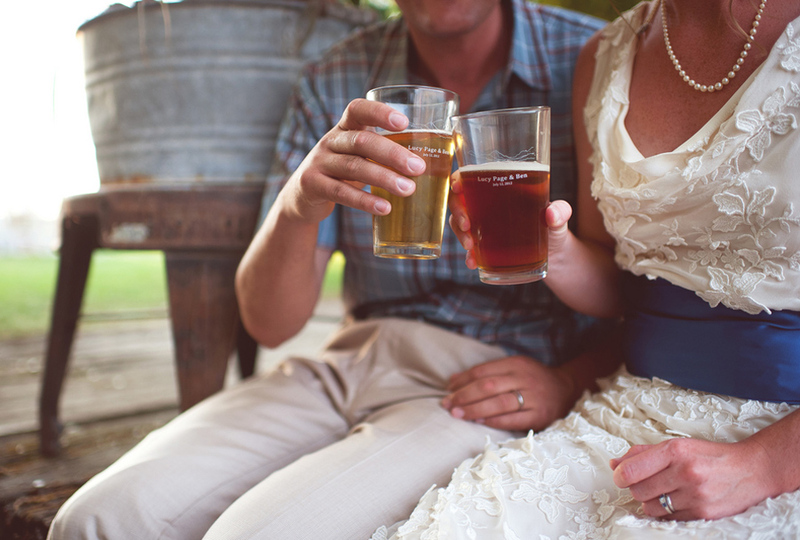 Whatever it is that has won us over, it's left us smiling and wanting more. 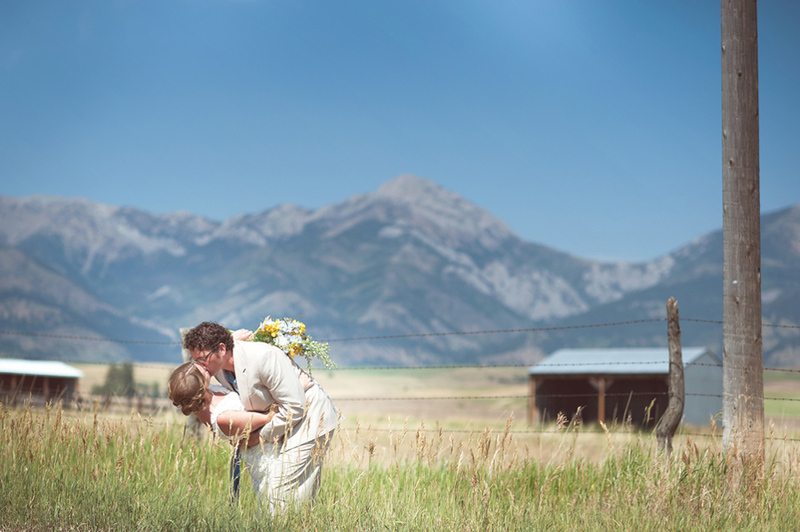 Lucy and Ben met and fell in love in Montana and knew they had to get married under the big sky. 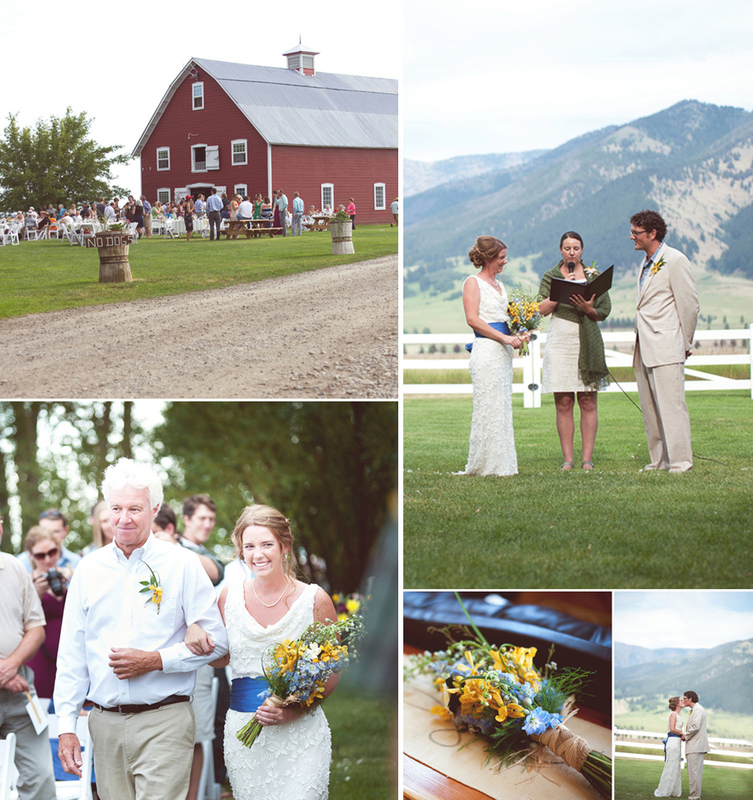 Roy's Barn, just north of Bozeman, MT is the perfect place for a gorgeous barn wedding. 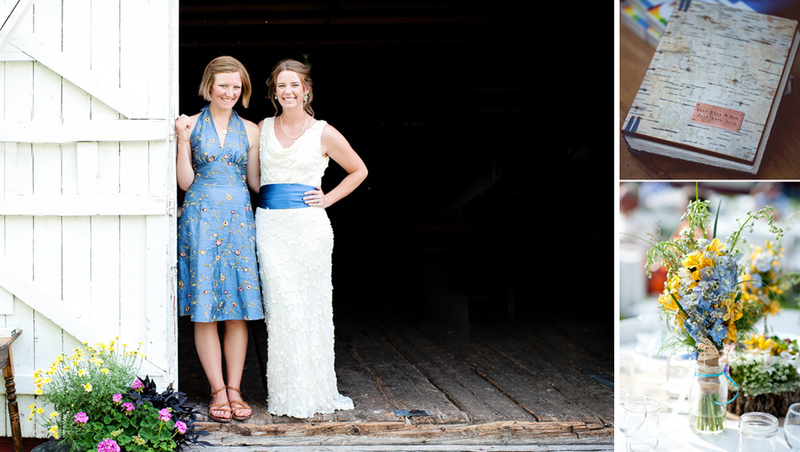 Lucy's mom and sisters from North Caroline all helped out to get every detail of this wedding perfect. 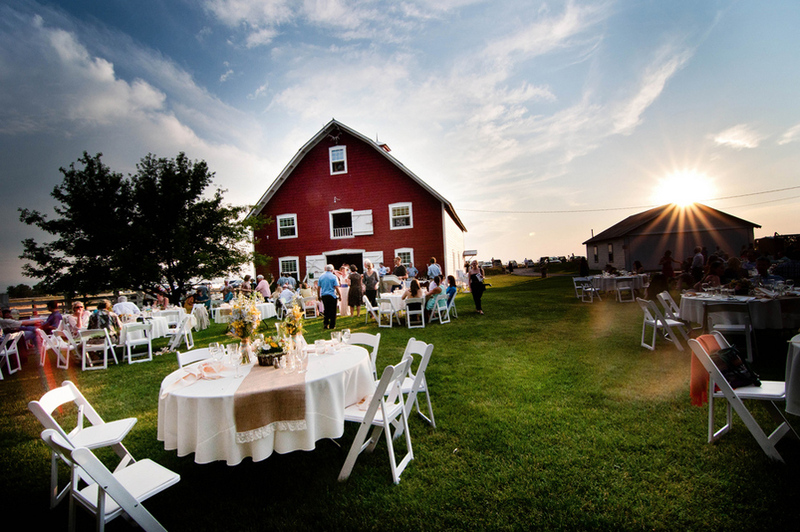 The guests arrived on yellow school buses and danced the night away from the very popular, country band Ten Foot Tall and 80 proof. 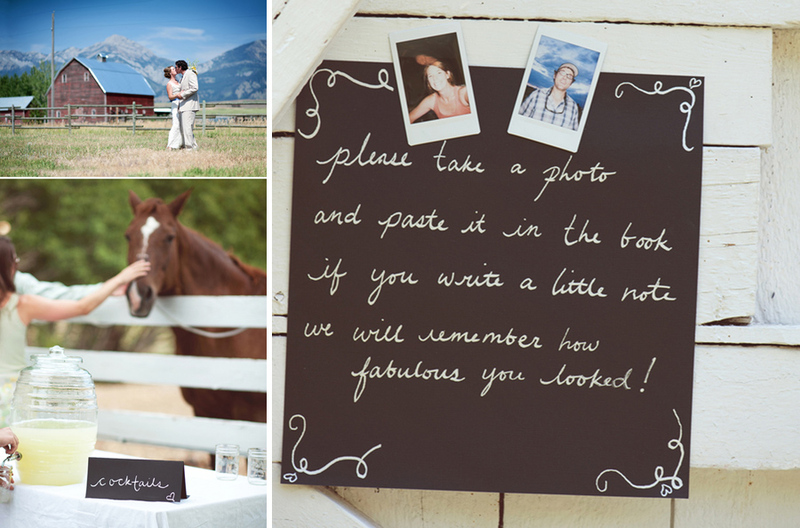 I love all the personal touches throughout and the imagery that was captured. It is all so charming and just a joy! 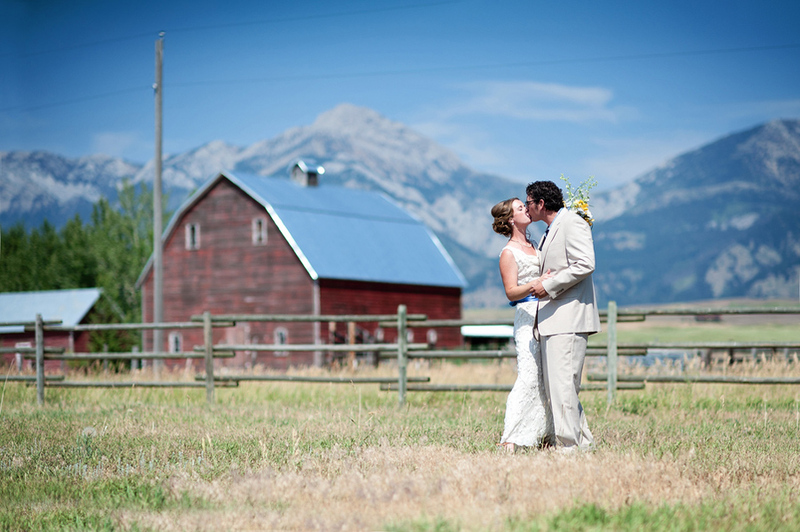 The landscape is breathtaking, it's no wonder Lucy & Ben chose such a spot to marry. Our thanks to Fran Ze Photography for this beautiful submission! 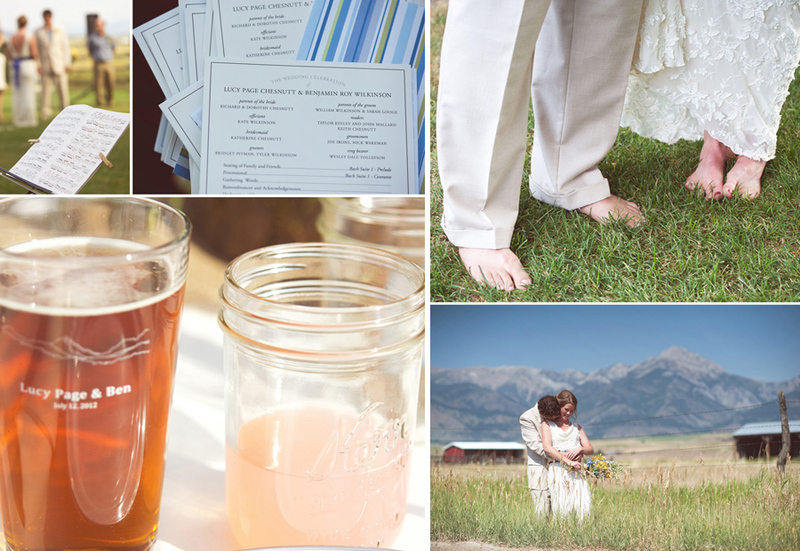 Soft grass feels so good when you're barefoot...congrats Lucy and Ben!